Be the first to share your favorite memory, photo or story of Edgar Lee. This memorial page is dedicated for family, friends and future generations to celebrate the life of their loved one. Edgar Lee "Bobby" Schmidt, 89, of Stamford, passed away Thursday, February 7, 2019 in Abilene. Funeral services will be held 2:00 p.m. Sunday, February 10, 2019 at First Baptist Church with Pastor Tony Grand officiating. Interment will follow in New Hope Cemetery under the direction of Kinney-Underwood Funeral Home in Stamford. Visitation will be held from 4-5 p.m. Saturday, February 9, 2019 at the funeral home. Bobby was born on August 11, 1929 in Bell County, Texas, the son of the late Albert E. and Agnes (Teichelman) Schmidt. Bobby was a veteran of the United States Army, having served during the Korean War. He married Leta Jo York on February 18, 1956 in Stamford. Leta Jo preceded Bobby in death on December 20, 2010. 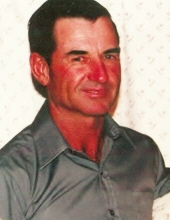 Bobby enjoyed farming in the Stamford area for many years. He like to tell jokes, and watching the country music channel. Bobby was always willing to help a friend. Bobby was a Baptist. Bobby was preceded in death by his parents; his wife; a sister Aileen Carlton and a brother, Rufus Schmidt. Bobby is survived by a son, Steve Schmidt of Stamford; a daughter in law, Sylvia Schmidt of Abilene; a grandson, Zachary Schmidt of Abilene and his fiancé` Star Womack of Abilene; a brother, Valton Schmidt and wife Beatrice of Stamford; a sister in law, Pat Holden of Stamford; and several nieces, nephews and cousins. To send flowers or a remembrance gift to the family of Edgar Lee "Bobby" Schmidt, please visit our Tribute Store. "Email Address" would like to share the life celebration of Edgar Lee "Bobby" Schmidt. Click on the "link" to go to share a favorite memory or leave a condolence message for the family.